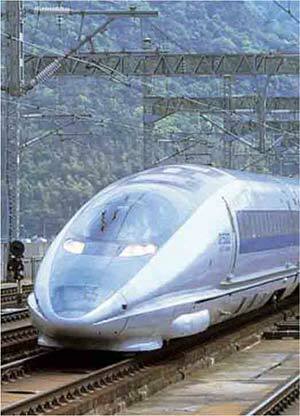 Hardlock has a number of certifications for use in the UK rail industry. Click on the image for a detailed view. Use of the Hardlock is now standard across a number of applications. Latest approved application. The Hardlock is now certified for use on fishplates across the UK rail infrastructure. 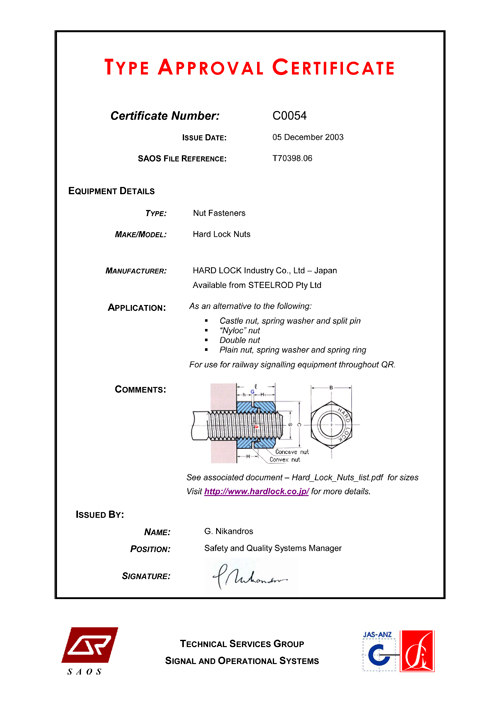 The Hardlock Nut has now recieved updated certification to include its growing deployment across track applications. Click on the image for a detailed view. 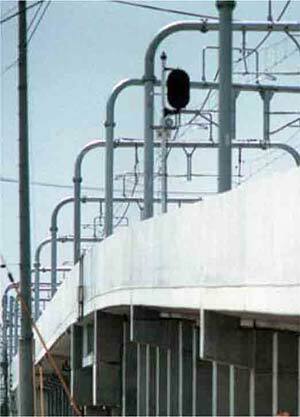 Hardlock is used extensively throughout the Australian railway network. Click on the image for a detailed view. 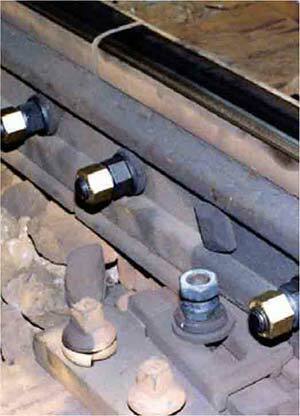 Hardlock is used extensively throughout the Japanes railway network including rolling stock, track and infrastructure.